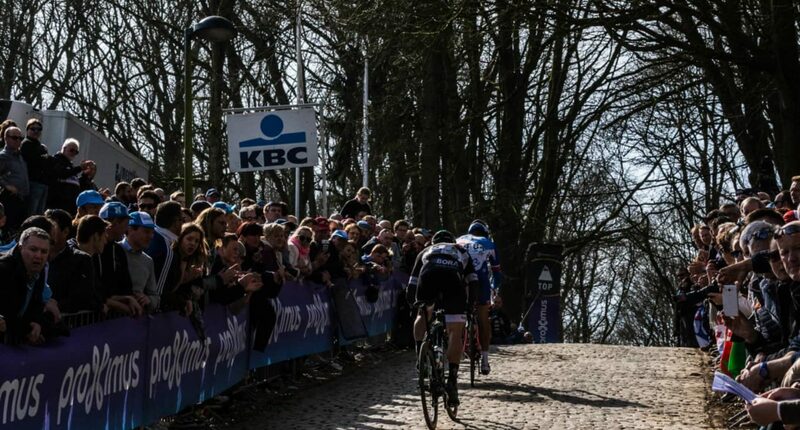 Known for it’s flat finish, Gent-Wevelgem has earned a name for being one of the most gruelling races for sprinters. 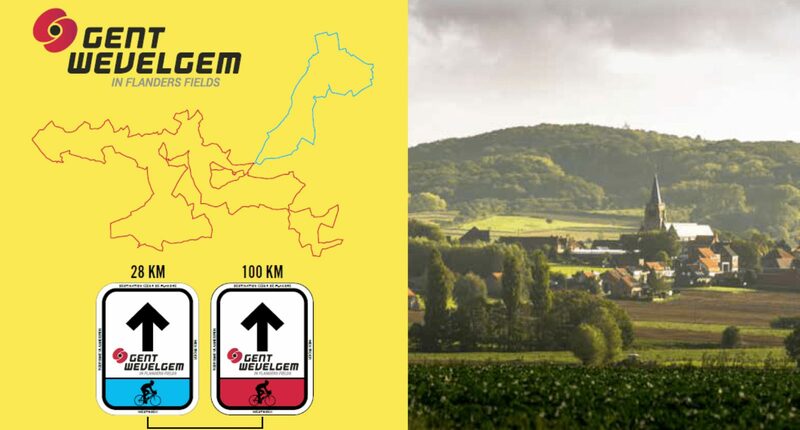 This signposted route however, doesn't finish in Wevelgem and neither does it start in Gent. 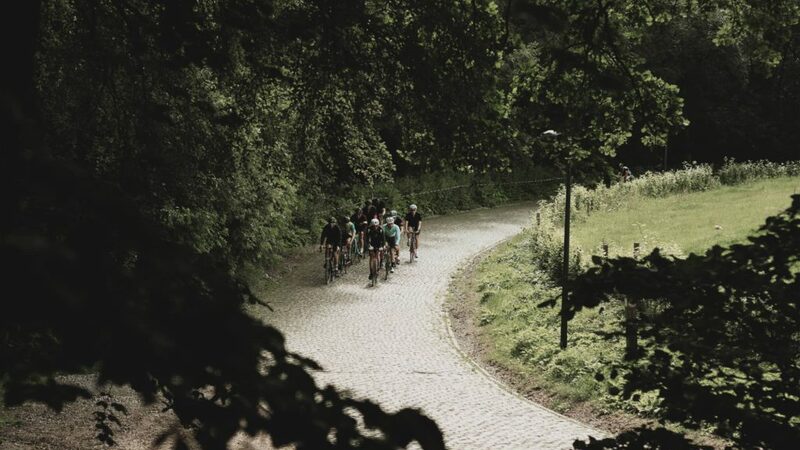 The 128km loop starts and finishes at the foot of the legendary Kemmelberg in Heuvelland, Flanders. 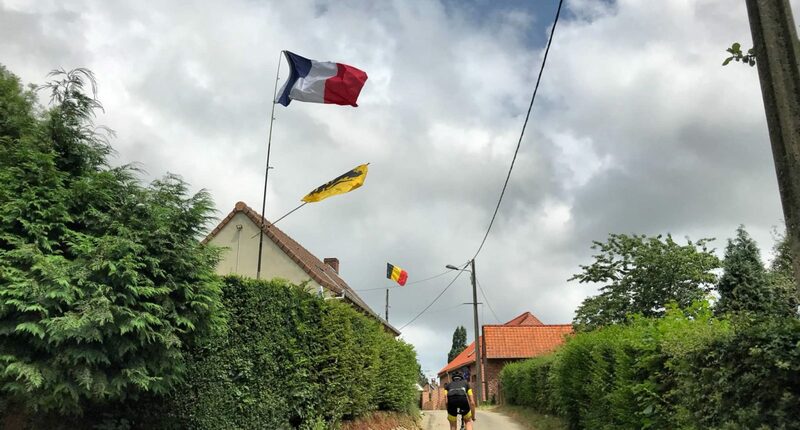 With it 1.483 altimeters, the route focusses on the area of the West Flemish Hills (Les monts des Flandres in French) along the French-Belgian border. 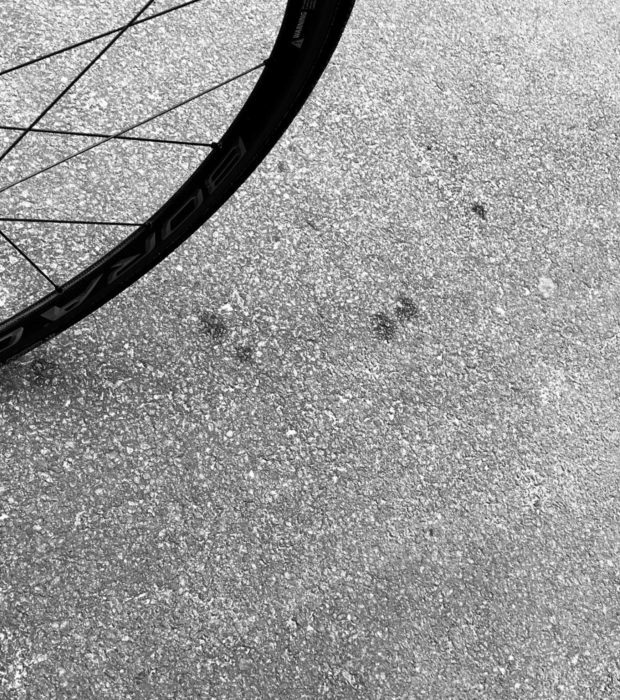 Expect difficult terrain, complete with cobbles, plugstreets, hills and unfavourable winds. 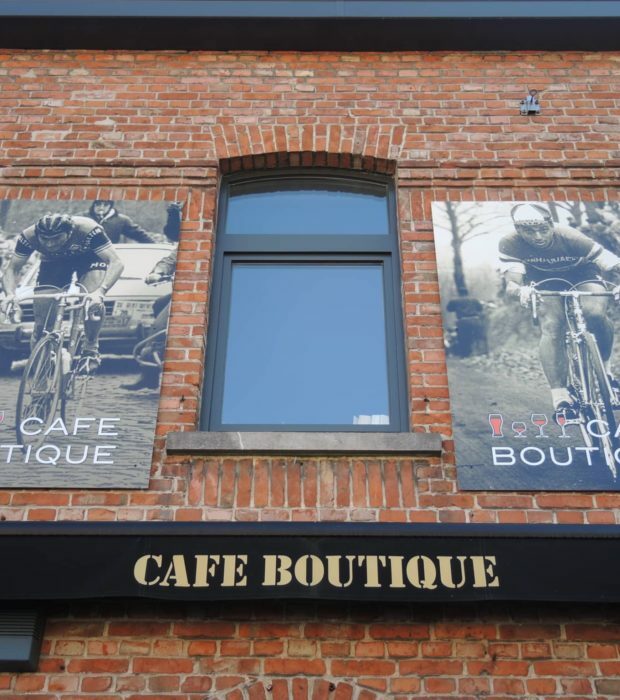 Resolute in its history, the Gent-Wevelgem navigates a number of the battlefields from the First World War. 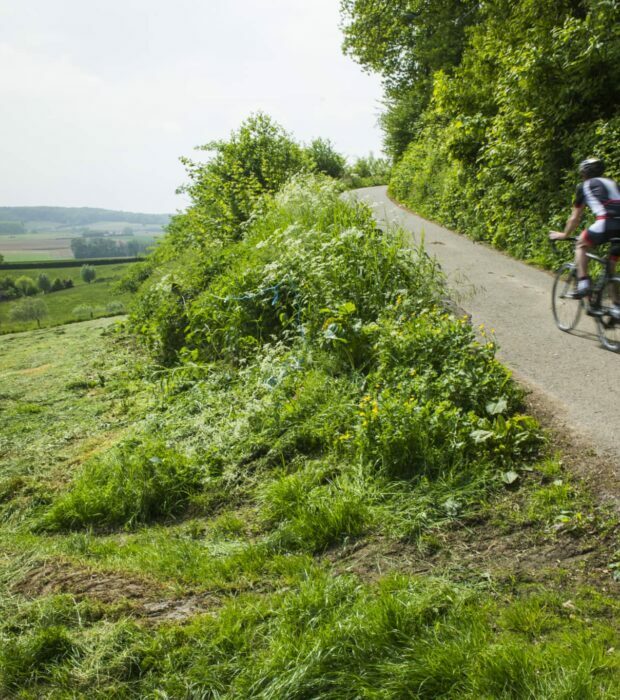 The route of Ghent-Wevelgem in Flanders Fields conquers the most important climbs of the ‘Ghent-Wevelgem’ race. The parcours has 2 loops. 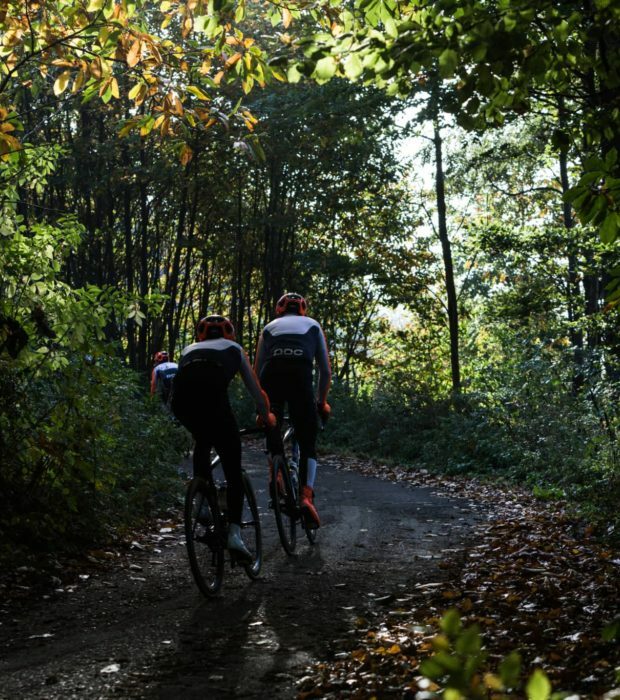 You can ride the 100k loop with 3 notorious Plugstreets and 11 steep slopes, including a double climb of the Kemmelberg. Just follow the red signposts. 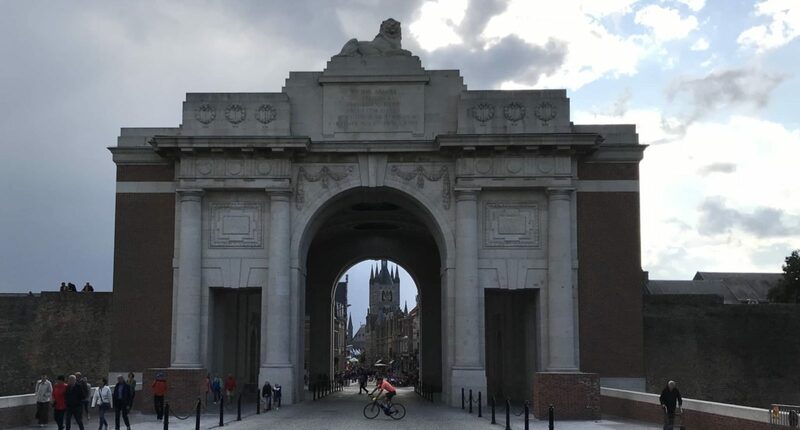 But to warm up you can add a 28k loop to Ypres and cycle through the Menin Gate before the real climbing starts. 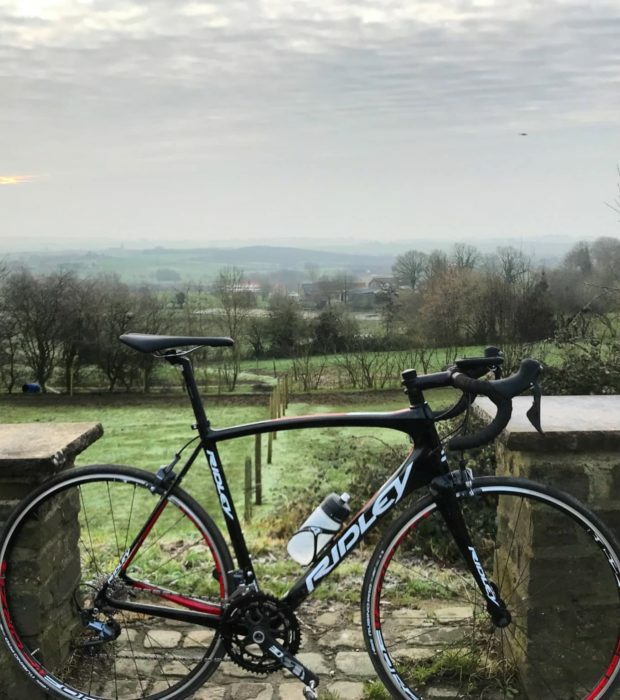 Owner Dirk Ghyselinck is a retired professional cyclist himself and still knows lots of people in the sport. 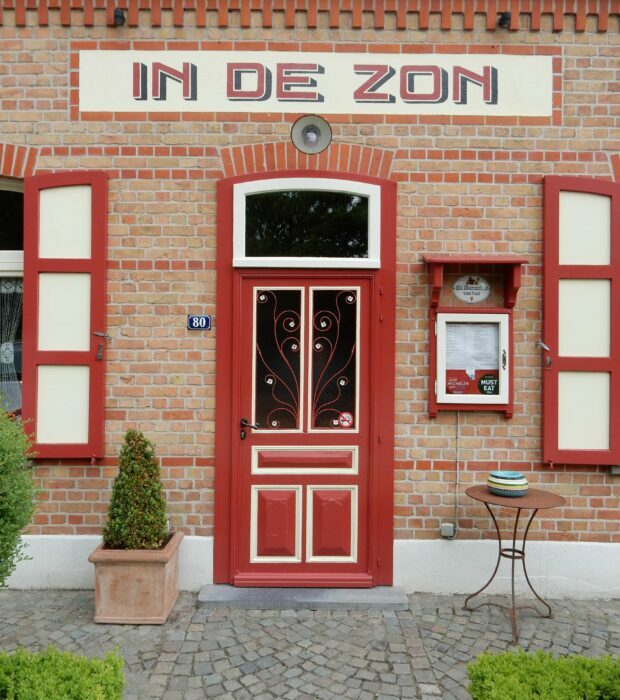 Place to be when Gent-Wevelgem race is going on. On the border at Kokereelberg. 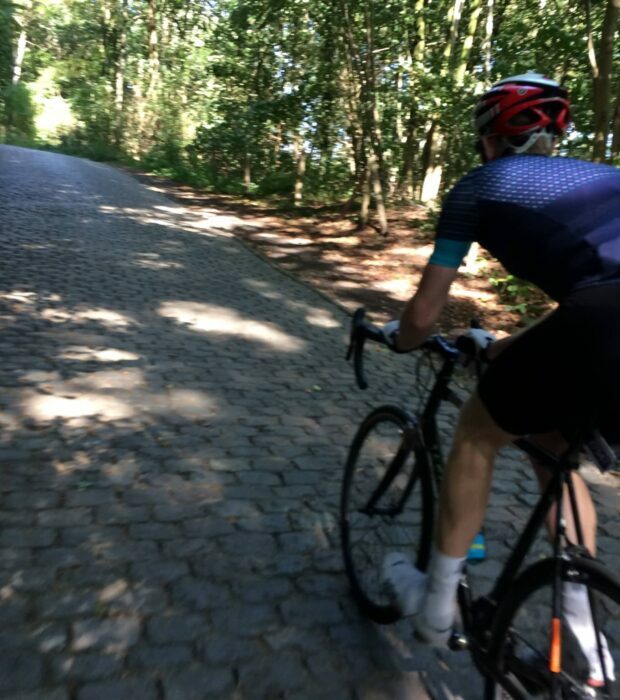 The Rodeberg can be tackled from both directions, but make sure you take a side-trip to the south at the summit, taking the small road up to the Molenhof restaurant, where the road really kicks up. This is the Baneberg. 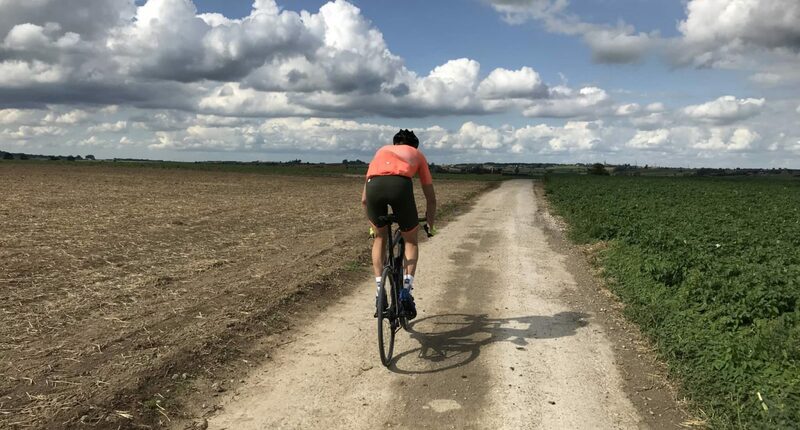 The parcours of the Ghent-Wevelgem cycling classic leads the cyclists through three ‘Plugstreets’ (Hill 63, Christmas Truce and The Catacombs), semi-paved roads in and around Ploegsteert. During the war, there was fierce fighting around this village in the province of Henegouwen. It was also near the Ploegsteert forest that German and Allied soldiers briefly fraternised on Christmas 1914. The British found it difficult to pronounce the village’s name correctly, so they ended up calling it Plugstreet. 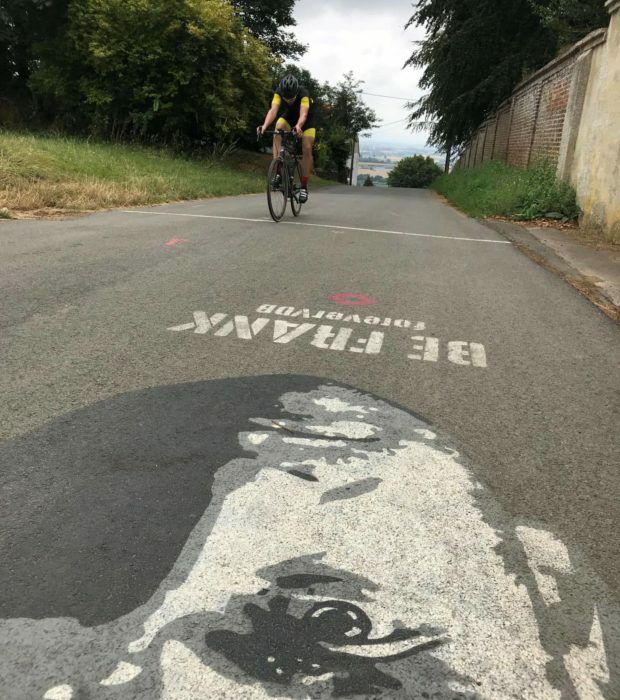 The organisers wanted to integrate the Plugstreets into the route of the Ghent-Wevelgem classic to draw a link with the First World War and commemorate the victims. A well deserved post-ride PICON!